Here you will find our latest tips, news and updates! We would like to officially welcome our partner, Hugh Hancock – CanmoreAlberta.com, to the redesigned Townapps platform. 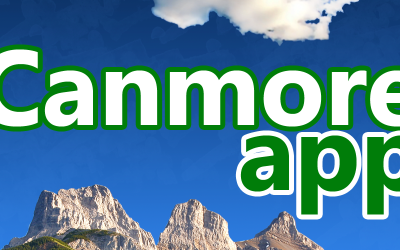 CanmoreAlberta.com is Canmore’s Community Portal – online business directory, community information resource, and vacation guide for visitors to the area. The Townapps white label mobile app solution has allowed CanmoreAlberta.com to move seamlessly to an app platform without incurring expensive development or integration costs. Much of the information within the Canmore App is available offline, allowing the CanmoreAlberta.com web portal to reach visitors with limited wi-fi access. Townapps relaunches with brand new look!